We are so honored that our unique formulation KENZA Pure Fusion Oil is the winner of the Artisan Product of the Year 2018. KENZA International Beauty LLC is our winner in the Skin Care category. 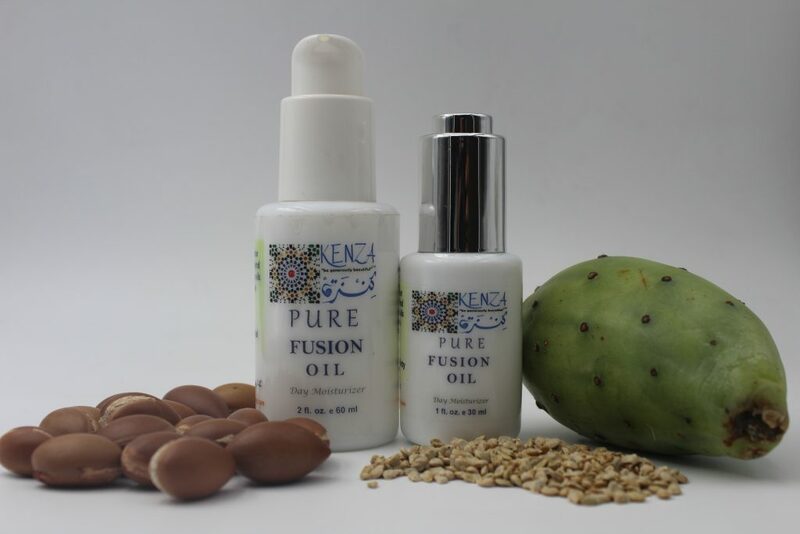 The KENZA Pure Fusion Oil is a rich, natural daily moisturizer that combines two of the best botanical oils for skincare: Argan and Prickly Pear Seed. It deeply moisturizes and protects skin from free radicals while naturally preserving a youthful appearance. You can purchase this product at the KENZA website at this link. KENZA Pure Fusion oil is a daily moisturizer that combines the benefits of two organic Moroccan Oils: Argan oil with Prickly Pear Seed Oil. It is light, quickly absorbed, deeply moisturizes skin, brightens the complexion, and nourishes your skin with natural antioxidants (vitamin E, K) and essential fatty acids. We do not believe in cheap fillers and have a zero tolerance policy for toxic chemicals. At KENZA International Beauty we call it the upgrade to KENZA Pure Argan oil and the ideal skincare for mature skin (and men love it as an aftershave). 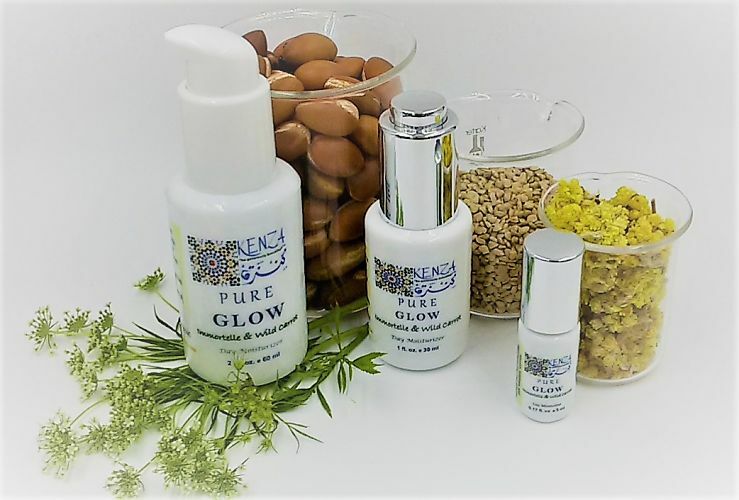 With KENZA Pure Prickly Pear Seed oil – Night Serum – they have been our Best Sellers worldwide for the last six years. Last June 2018 we decided to create a new version of KENZA Pure Fusion Oil (the upgrade of the upgrade) by incorporating two powerful anti-aging beauty ingredients: Helichrysum Italicum, Immortelle and Wild Carrot Seed Oil in addition to Prickly Pear Seed Oil and Argan oil. KENZA Pure GLOW is another pure blend of potent plant-based botanical oils and essential oils that yields to the ultimate skin care. Are you using KENZA Pure Fusion oil? Share your experience with us. Do you want to try KENZA Pure Fusion oil or KENZA Pure GLOW? Use code: UpgrademyArgan5 to get $5 OFF on these products (1oz size only). You can also try all our facial oils in a travel mini size. We are so proud to share with you all the natural beauty treasures we find in Morocco and France to provide you with safe, potent, beauty products that are good for you, the environment and support social change for women. This entry was posted in Pure Moroccan Beauty Oils and tagged aftershave, anti aging beauty, ARGAN OIL, argan oil for skincare, Artisan Product of the Year, beard oil, Damaris Lewis, e-commerce, facial oil, helichrysum italicum Imortelle, Indie beauty, indie beauty brand, Indie Business Network, KENZA "be generously beautiful", KENZA International Beauty, KENZA Pure Fusion oil, Long Island City, luxurious beauty brand, men grooming skincare, natural skincare, natural-beauty, online beauty store, organic skincare, PRICKLY PEAR SEED OIL, Pure Fusion oil, skincare, small business, social enterprise, spa beauty, winner of artisan product of the year 2018. Bookmark the permalink.